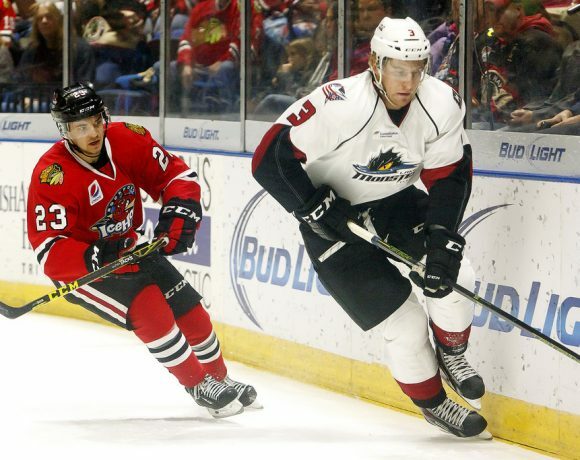 The Rockford IceHogs picked up a huge overtime win over the Chicago Wolves at the BMO Harris Bank Center Wednesday night. The 2-1 victory was in line with the way the piglets have won for the bulk of the 2018-19 campaign. 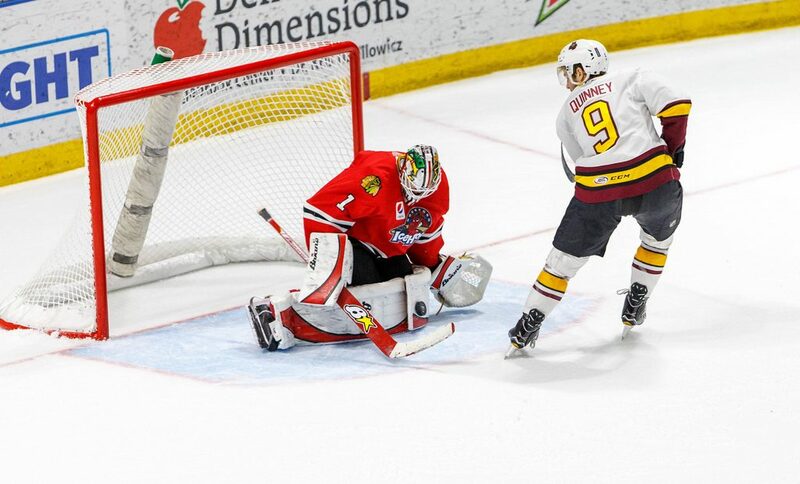 Rockford leaned on its goaltender and picked up two valuable points in the Central Division standings. On Wednesday, it was Collin Delia who kept the Hogs in contention with a 32-save performance. The frugal IceHogs have won four straight games despite scoring just eight regulation goals in that span. Buoyed by this winning streak, Rockford has the fourth and final playoff spot in its possession for the time being. The Hogs (31-24-4-6) own a .554 points percentage with 11 games remaining in the regular season. Texas and Manitoba are right behind Rockford, with Milwaukee still in the hunt for a postseason berth. The IceHogs can put a damper on the dreams of the Admirals, as the two teams face off with each other in each of the next three games. Rockford visits Milwaukee Friday before the action returns to the Forrest City Saturday and next Wednesday. The Hogs have won four of the seven matchups with the Admirals this season. Three of those wins have come at the UW-Milwaukee Panther Arena. The IceHogs did themselves a huge favor this past Sunday in beating the Stars 2-1 in regulation. Anton Forsberg, who paces the AHL with a .924 save percentage, stopped 34 shots to pick up the win over Texas. Forsberg is 4-2 against the Admirals this season with a 1.99 GAA and a .920 save percentage. Anthony Louis is currently mired in a 15-game goal-less drought. In fact, Louis has just one goal and four helpers in his last 26 games dating back to January 12. Tyler Sikura has been back in the lineup for six games but is looking for his first goal since coming back from a broken thumb. Jordan Schroeder, who posted the lone shootout goal to beat Chicago Wednesday, continues to put up a steady stream of points. He has two goals and four assists in seven March contests. Since coming aboard last month, Peter Holland has also provide offense for the Hogs. In eleven games with Rockford, Holland has four goals and three assists. Holland’s four goals since coming aboard February 20 pace Rockford in that span. The Hogs still man the league basement, scoring a paltry 2.40 goals per contest. To be in a position for the postseason is a testament to the play of Forsberg, Delia and Kevin Lankinen in net. The influx of college and junior players has begun for the IceHogs. Rockford signed center Dylan McLaughlin to a two-year AHL deal on March 13. McLaughlin, who was a Hobey Baker finalist with Canisius College last season, has skated in four games with the Hogs. The IceHogs also signed Indy Fuel defenseman Dmitri Osipov to a PTO on Saturday. Osipov has skated in two games with Rockford. Wednesday, the Hogs inked forward Fredrik Olofsson, a fourth-round selection by the Blackhawks in 2014, to an Amateur Tryout contract. On Thursday, Rockford extended the AHL contract of goalie Matt Tomkins through next season. He’s played well in Indy this season, with a 25-17-2 record. He has been named the CCM/ECHL Goaltender of the Week on three occasions this season. At this point, forwards Jacob Nilsson, Matthew Highmore and Nick Moutrey are still missing from the IceHogs lineup. Defenseman Brandon Davidson is also out, as has been the case since February 20. I’ll be back on Monday to recap what is shaping up to be another big weekend of action. Follow me @JonFromi on twitter for game updates this weekend and thoughts on the IceHogs all season long.